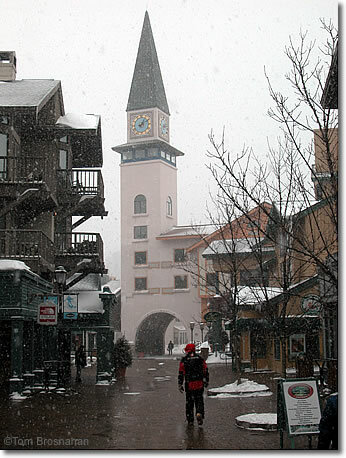 The snow comes down in clouds, but doesn't pile up in Stratton's pedestrian streets because the walkways are heated. Good thinking! The snow is right where it should be: on the ski slopes.